We are conscious of the traffic congestion outside school today. As the weather deteriorates the volume of traffic increases, if you do need to drive to school please be considerate when parking. Our priority is the safety of our pupils as well as considering our neighbours. 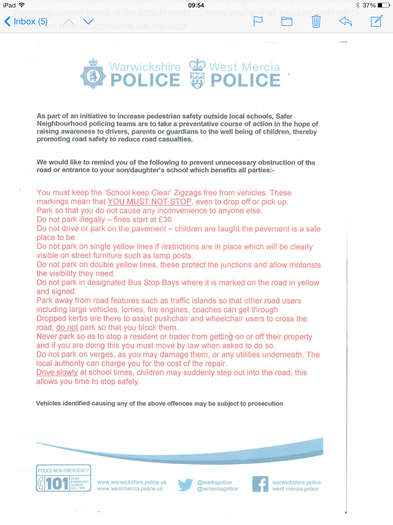 The parking outside nursery is a particular concern as a number of vehicles were blocking the flow of cars today, this then caused traffic on Limekiln Lane and on to the main Holyhead Road to back up. This does impact on the safety of pupils and their adults arriving at school. We do have ongoing discussions with the local police and are asking for their support. We will be sending a letter from West Mercia Police home to parents this evening. Thank you for your support in trying to ensure the safety of everyone in our community.